IRVINE, Calif., Nov. 14, 2017 /PRNewswire/ - The Zymo Research Corp. Board of Directors has announced the appointment of Dr. Jonathan Eisen, Biologist, to its Scientific Advisory Board, effective immediately. Dr. Eisen received an A.B. degree in Biology from Harvard College in 1990 where he worked on microbial symbioses; and, he received his doctorate in Biological Sciences from Stanford University in 1998 where he worked on the evolution of DNA repair. He has published more than 300 scientific articles, is one of the most highly cited researchers in microbiology and microbial ecology, and is a member of the American Academy of Microbiology. Prior to joining UC Davis he worked as an Investigator at The Institute for Genomic Research in Rockville, MD and held an Adjunct Faculty appointment at Johns Hopkins University. 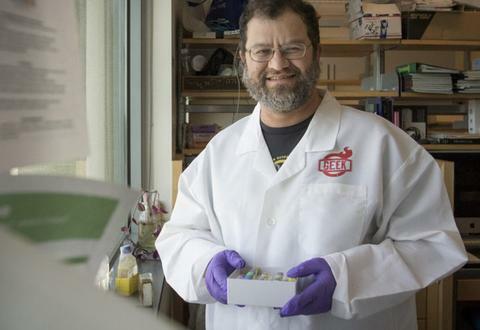 "I am excited to be an advisor to Zymo Research especially as they move more and more into the microbiome space," said Eisen. "There are so many tools and resources that could benefit the broader scientific community and I hope to help guide Zymo Research in their developments in this area." "Dr. Eisen is an accomplished scientific leader," said Dr. Larry Jia, Founder and Director of Zymo Research Corp. "We are confident that he will add great value to our Scientific Advisory Board and that Zymo Research Corp. will benefit from his insights, scientific acumen, and expertise in the microbiomic community." With the appointment of Dr. Eisen, Zymo Research's Scientific Advisory Board consists of five members, including Peter Jones, Ph.D., D.Sc. Director of Research, Chief Scientific Officer, Van Andel Institute; Dr. Steven Jacobsen, Professor, University of California-Los Angeles; Dr. Alexander Meissner, Associate Professor, Harvard University, and Dr. Martin Schwemmle, Professor, University of Freiburg, Germany. For more information about Zymo Research's products, go to Zymo Research's website or email info@zymoresearch.com.For more information about Dr. Jonathan Eisen, please see his website, https://phylogenomics.blogspot.com/, his Twitter feed: https://twitter.com/phylogenomics and the website he runs: https://microBE.net.